I like to start by thanking everyone that still follows my little blog. I've lost a few followers over the last month or so and I'm sure it's because my posts have been almost non-existant. 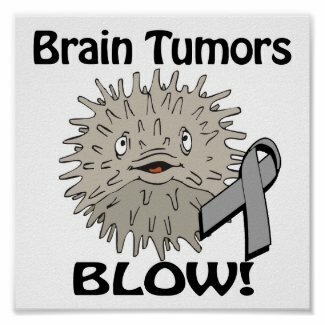 A couple months ago I was diagnosed with a Brain Tumor after months of tests and doctor's visits. It drained me of energy, caused a lot of pain and made staying awake and being productive almost impossible. I had surgery December 5th and they were able to remove it entirely. YAY!! Now I am just slowly recovering. I am back to work and hoping to ease back into blogging soon. For those of you still with me, Thanks! Can't wait to see what projects 2013 brings! Oh my gosh, I am glad that you are feeling better. I'm so sorry to hear your news but it sounds like you are on the mend. Thank God. I'll include you in my prayers and check back often on your progress. You are not alone. Oh my goodness. I am so glad to hear that you are recovering. What a scary few months you must have gone through. So glad to see that you are back and that you are healthy. Wow! I was shocked to hear about what u have been going thru. Congradulations on a successful surgery and speedy recovery! Thank you. I'm feeling better every day.